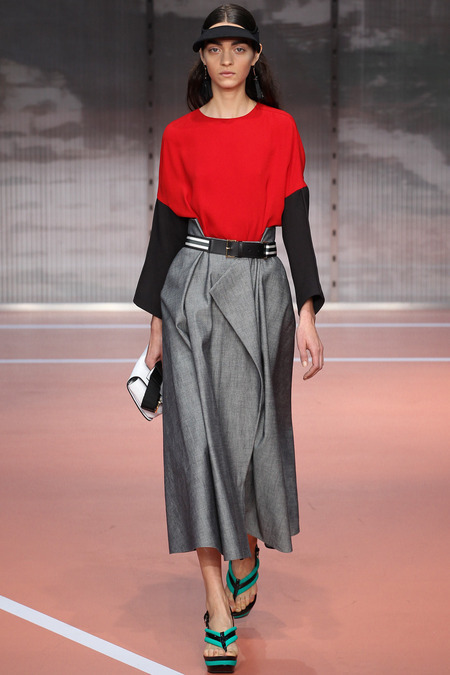 Marni is one of the most optimist brand in Milan. Each season I have grown to love this label because of the colorful design, patterns and clothing. One of my favorite past collections was from Spring 2012 where there was a 1950s theme in the colors but the model’s look was referenced Hitchcock’s “The Birds” starring Tippi Hedren. It was this collection that showed us the strength of the Marni accessories! 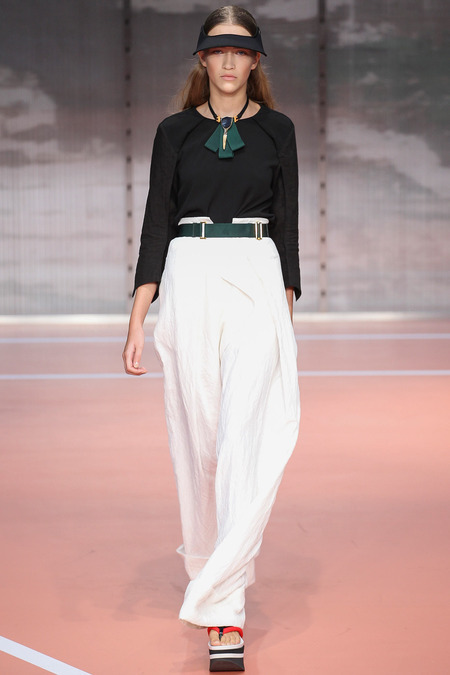 Creative Director, Consuelo Castiglioni for Spring/Summer 2014 featured wide-leg trousers, capri pants, three-quarter length tops, plunging necklines on dresses and sweaters. Each look was bold in color and design. 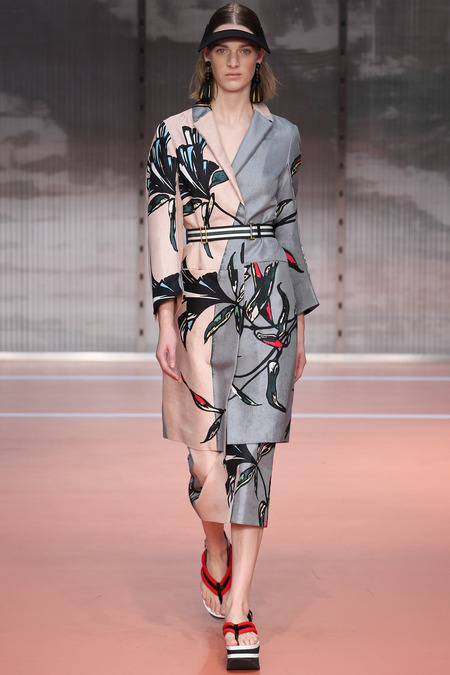 There were also graphic floral prints with a slight Japanese inspiration. Accessories included large necklaces, earnings, belts, and platform flip-flops. 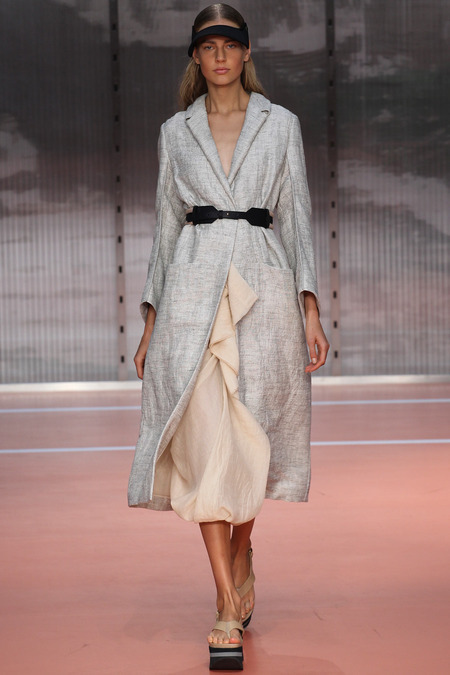 These looks were so simplistic!